Welcome to Shakey Stitches. 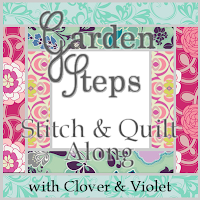 As a beginner quilter I decided to setup this blog so I can watch my quilting progress as I hopefully improve. I have named it Shakey Stitches as I have shakey hands, therefore my work isn't the neatest. Why do my hands shake? I'm not sure, all I know is that they do and they shake worse when I'm tired. I hope you would like to share my journey to quilt-greatness and we can share tricks and tips along the way.